bahahaha hella cute !!! that expression !! :):) Congrats ! 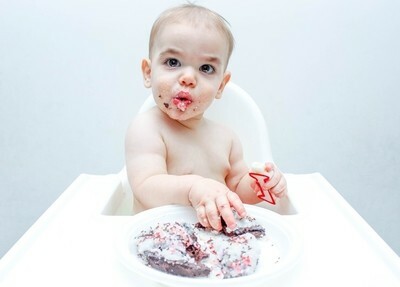 A baby enjoys his first birthday cake.